Real Madrid’s interest in Paul Pogba seems to be genuine as Marca claim that the Galacticos are aware of how much they would have to pay for the Frenchman. Paul Pogba has a contract with Manchester United until 2021 and has been one of the best players for his team since Mourinho’s departure. He has scored 13 goals and assisted 9 times in 30 Premier League games for the Red Devils. According to Marca, Manchester United have no intention of selling their superstar. In fact, they want him to extend his contract and believe that he should have no problem staying with the Old Trafford outfit as Jose Mourinho – with whom he had a troubled relationship – is no longer at the Theatre of Dreams. The report also adds that Real Madrid are aware of the fact that any negotiations for the Frenchman would have to start at €150 million. As the Red Devils are still fighting for silverware this season, Paul Pogba has decided to postpone speaking to the club regarding his future, but he will do so in a month’s time. Marca are said to be the mouthpiece of the Galacticos, so this report might have something in it. 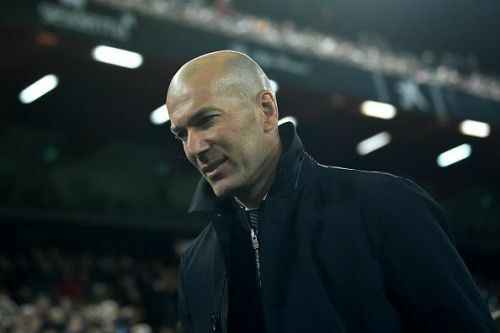 Zinedine Zidane is an admirer of the World Cup winner, who himself claimed that it would be a dream to play for Madrid. Real Madrid have seven games left this season and would like to finish second ahead of Atletico Madrid. After that, a summer of renovation awaits the Blancos as they will have to make some major changes in the squad in order to build a team capable of winning titles next season.